Are There Permit Requirements for Residential Fencing in San Jose? Constructing a fence can add style, value, and security to your property. Before you hire a fencing contractor to build a new fence on your property, however, you will need to ensure that your plans are in compliance with local codes and regulations. In the city of San Jose, certain types of fences require permits, while others do not. To help you prepare for your project, here is a brief tour of fencing permit requirements in San Jose. As you are getting ready to build a new fence on your property, you will need to read up on local permit requirements. Many common residential fences do not require permits. If your fence is less than seven feet in height and constructed in compliance with local codes and regulations, you typically will not need a permit before you begin construction. 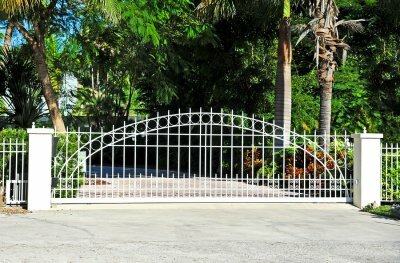 While many types of fences do not need permits from the city, there are certain types of fences that do. If you will be building a pool fence that encloses a pool or spa area, it is important to obtain a permit for your construction. Fences that serve as retaining walls must also receive permits before they are built. 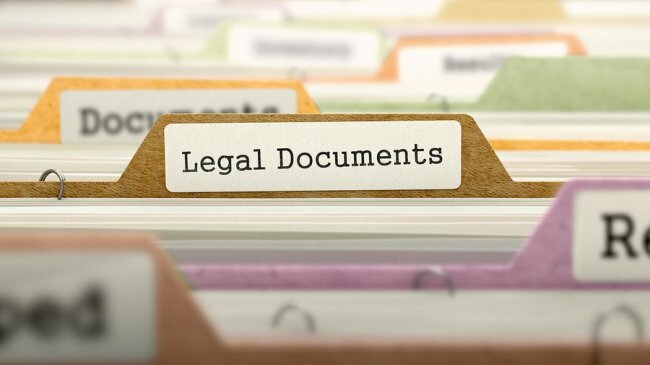 Applying for a permit from the city of San Jose is a straightforward process. If you have determined that your new fence is eligible for a permit, simply contact the San Jose Building Division. Your fence contractor can also help you negotiate the permitting process by contacting the Building Division on your behalf. For additional information about fencing in San Jose , contact A-1 Fence, Inc. Our company specializes in cast iron fences, and we can build you a sturdy and beautiful fence that will remain beautiful for many years to come. To schedule an initial consultation for your new fence construction project, give us a call at (408) 259-2955. 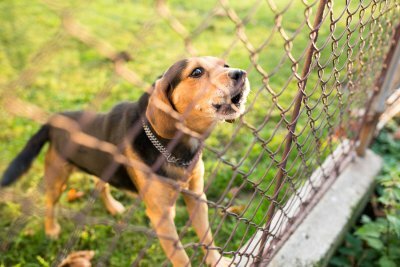 Whether you are looking for a pool fence, a dog fence, or a fence to surround your tennis court, chain link fences may be the right type for you. These fences are durable, versatile, and easy to install. Many individuals use chain link fences to improve their security, and they enjoy the lack of maintenance requirements and the aesthetic appeal. Keep reading if you are wondering why you should choose chain link fencing. Chain link fences are often used to mark off boundaries and notify passersby that your territory is not to be trespassed upon. While this type of fence may not necessarily be your prototype of a security fence, it does offer some advantages when it comes to safety and security. A vinyl fence may seem like the best option for privacy and security, but many homeowners forget one important element; you may not be able to see a burglar, vandal, or criminal who is trying to enter your property from your side of the fence. Since chain link fences are transparent, there is nowhere for an individual to hide when attempting to break in. Most members of today’s society live busy lives. If you have already got enough on your plate and do not see yourself spending time maintaining a fence, chain link fencing may be the right choice for you. A chain link fence will typically remain sturdy, durable, and in top shape for years to come. If you do want to give your fence a quick cleaning, simply brush off any spider webs, dirt, and debris, and spray it down with a hose. If you decide to clean your fence, be sure to choose a warm day for complete drying. Modern chain link fencing comes in several different design options and can make a positive impact on the aesthetic value of your property. These fences typically come in several color designs such as green, black, and silver, and they can be fitted with mesh or slats to add an additional visual element. There are a lot of options available to homeowners who decide to install a new fence, so how do you know which fence is right? For starters, consider your needs. 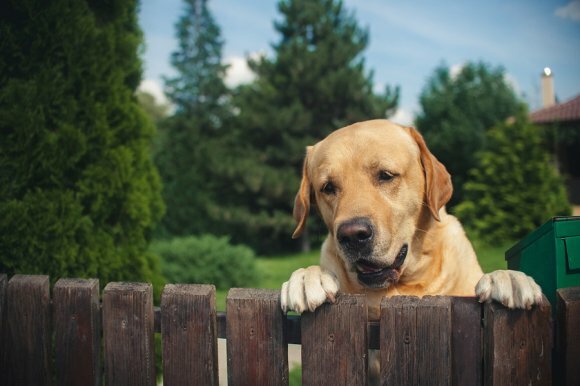 If your goal is to keep kids and pets contained you might be better off with a different fence than if you want to increase privacy or simply boost your home’s curb appeal. You also need to establish a budget for your new fence. When comparing fences options, take maintenance cost into account, in addition to the actual cost of the fence itself. Your San Jose fence builder can help you narrow down your choices based on your needs, preferences, and budget. You can also benefit from working with a fencing contractor in that you’ll have professional help designing a fence that is functional and aesthetically pleasing. When you consider all the benefits of chain link fencing, it’s no wonder chain link is one of the most popular fencing options in the world. Chain link fences are inexpensive, easy to install, highly effective, and surprisingly versatile. If you’re thinking about adding a new fence around your property, here are some tips for using chain link fencing. Your San Jose fence builder can tell you more about the benefits of chain link and help you design the perfect chain link fence for any application. Chain link is appropriate for any number of different fencing applications around your yard. 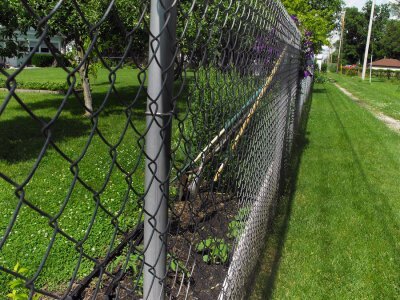 The strong and flexible nature of chain link makes it a popular fencing materials for garden fences, dog fences, tennis court and batting cage fencing, and general property line fencing. Just talk with a fence contractor in your area to learn whether chain link is appropriate for the type of fence you want to build around your yard. One of the drawbacks people claim about chain link fencing is that it’s not the most interesting or aesthetically pleasing fencing option available. While this may be true (at least for some people), there are plenty of ways to improve the look of your chain link fencing if the appearance of your fence is important. One of the best ways to improve the look of a chain link fence is to have the chain link painted. Chain link is also ideal for growing vines and plants, which can add a beautiful, natural look to your fence. One of the biggest reasons people love chain link fencing is that chain link is a very low-maintenance material. Compared to other popular fencing materials like vinyl, wood, and wrought iron, chain link is almost maintenance free. In terms of caring for your fence, spray chain link fencing with a garden hose to remove dirt, spider webs, and plant debris. Scrub off developing rust with a wire brush.